Ok I confess, I am pretty tight when it comes to money. So when it comes to making a purchase on a title I tend to choose one’s which have at least been reviewed. However, every once in a while I look for one which isn’t reviewed. I tell myself because it is because ‘I like to live on the edge’. I know I am a sad man… But the truth is I am looking for something different… but not too different from my usual listening habits. I usually listen to zombie stories or historical military and political people. This title was perfect. I was thinking it was going to be zombie’s but it is not! Truly it was a pleasant surprise! 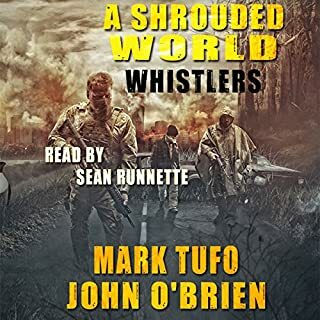 Sean Runnette is an excellent narrator and is very easy to listen to. The speed of the narration is good. I played this one at 1.25x speed and it was just right. The story built tension and managed to build it to just the right amount before it was released. Not once did I find myself stressed by it. But rather the tension did what it is supposed to do – make me what to know more. The story ebbed and flowed, slowly building the characters and revealing more of the plot. The title is the work of two authors and honestly I couldn’t pick any difference between the two! The only draw back is a simple one. I can't wait for the second book! 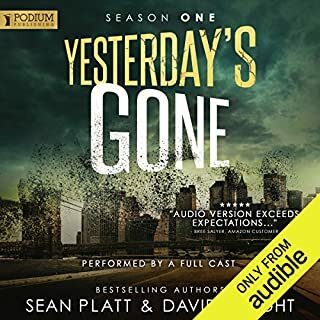 I listened to this one pretty much in one day and was disappointed to see that this was a new release and so the second one on the series might be a little way off. 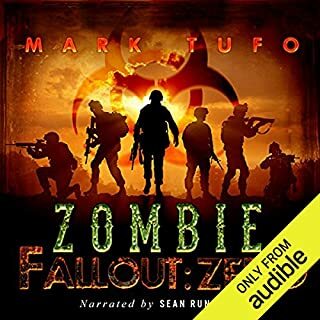 If you are looking for something a bit different to the usual end of the world zombie style books that I often review, and you want something that is entertaining and easy to listen to in a boring commute. Then this one might be just what you are looking for! I couldn’t wait to get started on The Last Survivors when I found out who the authors were. T.W. Piperbrook and Bobby Adair couldn’t write a bad book if they tried and together, I thought they would be unstoppable. Post-apocalyptic stories are by far my favorite and when you throw zombies into the mix, well, let’s just say I was kind of excited. I went into this book with absolutely no knowledge of what it was about, other than the book description. 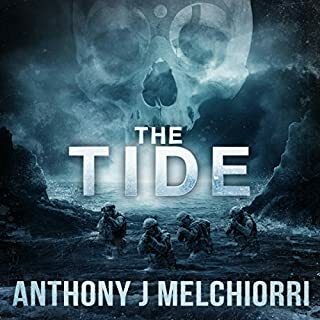 300 years after the end of the world, the few people left on Earth are struggling to survive. People are being turned into monsters and nobody is happy. As I listened to the book, I expected to hear a little more about the spores but I was disappointed. It took awhile for the action to build and I felt the story lacked some much-needed character development. 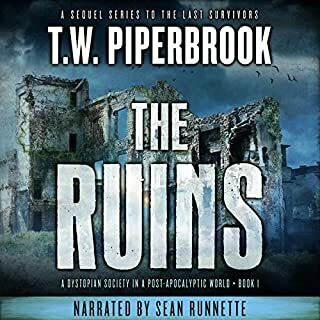 However, Adair and Piperbrook left the ending wide open for the next book in the series and although I wasn’t as blown away by this story as I hoped to be, it has a lot of potential and I am looking forward to the next part. Since this was a collaboration, I worried that each author’s part would be easy to pick out and I’m happy to say I was wrong. It was hard to determine which author wrote which part and it flowed seamlessly. The audio quality of The Last Survivors was excellent. 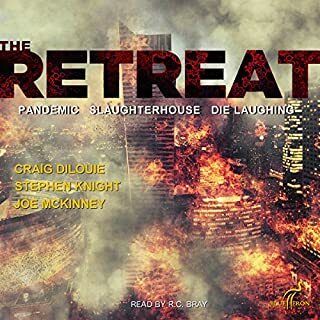 The narrator, Sean Runette, speaks clearly and adds the right amount of tension to every scene. 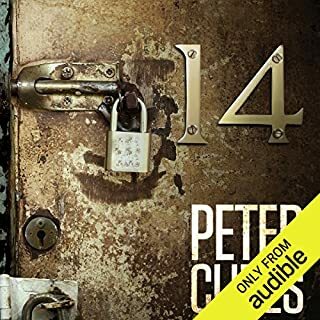 I’m sorry to say I had never heard of this narrator before being given the opportunity to review this book, but he impressed me so much, I will definitely be seeking out more of his work. Overall, The Last Survivors didn’t go where I expected it to go. It was a little slow in spots but was good enough to leave me curious about the next part of the story. 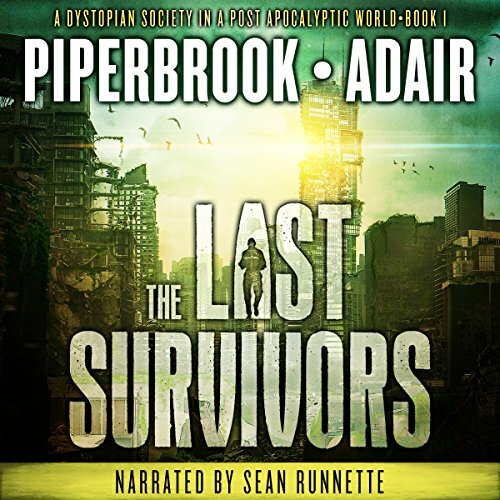 If post-apocalyptic stories are your thing, I urge you to give The Last Survivors a try. 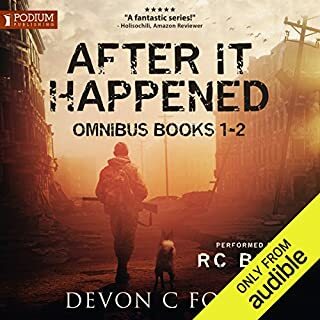 Audiobook purchased for review by the ABR. Let's get something straight, the rating is not low because of the treatment of women. These were the only two quotes that stuck out to me. The best part of the book is the universe these two have created. It is a bit different, I even like the infected. It is based on a real disease that inflicts insects in, I believe South America. I saw a special on one of the nature channels once and they showed these ants go crazy, become physically deformed and then what looks like a painful death. I found the book very slow. Very little happens, the whole books is a set-up for the series. They spend a lot of time telling us things, little time doing anything. 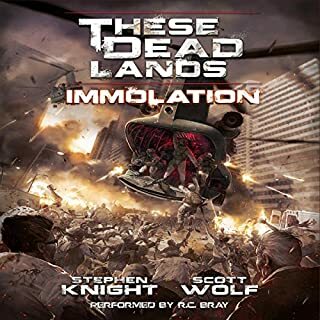 As another reviewer mentions the infected are just background. This had more of a feel of The Handmaid's Tale, than a Zombie book. The whole book takes place over three days. We are told women strip in front of the whole town and are felt up in front of the whole town and we are told that it is humiliating. We don't actually live through it as a woman. My mind wondered often and I never really felt much empathy for any of the characters and there were no WOW moments. I will not continue the series. I don't normally read books like this. It's kind of a zombie story, but then again it's not. The world, civilization, and characters were described well. I could picture it all in my mind. I did like it. The narrator did a good job. It was well read. There were enough changes in his voice to distinguish the characters and to keep the story from growing monotonous. I enjoyed it. 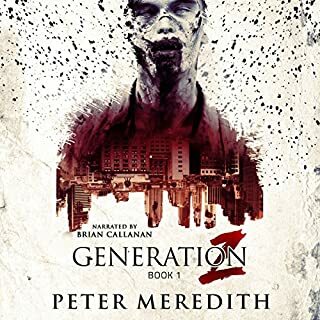 This story is set in the distant future where zombie like creatures still live and the people are ignorant of their history and ancestors. Most all of the reviews were decently high, but there were definitely a lot of people complaining as well. I am just starting book two so I don't know what kind of set up this is going for, but this book is definitely based heavily on the idea of manipulation. Men dominating Women and Children, a religion built to control the masses and abuse of that power at the top. And other manipulations as well. I feel the negative remarks come from the books description and the book's contents. They are remarkably the same and different. 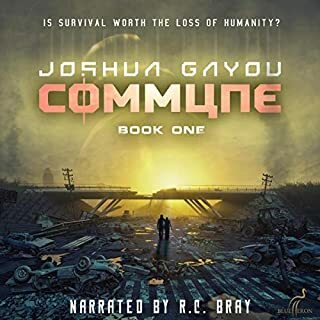 They live in a world of disease and monsters, but the majority of the world you see is within the confines of the village and the manipulation of the people. I highly enjoy psychology, so I really didn't mind the absence of monsters for the most part. These two authors have put together a world that I feel would reflect a world in that type of scenario decently well. I feel like this is the first part of one book. I love the narrator. I am unhappy with the authors spitting this book up. it feels like a cheap soap opera ending. Leaving me feeling unsatisfied. I hate mimum word requirements, audible. but I liked the book and I don't blame the author for audible stupid requirements. Main issue is the narrator's strange speech pattern at the end of most sentences and how many of his s-sounds come off as shh sounds. Kind of hard to listen to. Really got sucked into the story from the beginning. Really can recommend this even if you're not familiar with the genre! When I first started listening I thought I’d bought something unsuitable for myself, because it sounded as if it was set far back in the past. I carried in listening and got more and more hooked on the story. I liked the narrator too and I’m gonna get book 2 now. FIRST BOOK A LITTLE DIFFICULT TO GET STUCK INTO AT THE BEGINING BUT CERTAINLY WORTH IT. 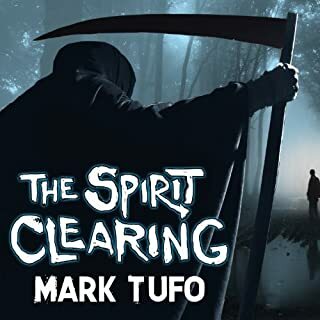 I LIKED THE WAY THE CHAPTERS WORKED, KEPT YOU INVOLVED WITH THE CHARACTERS. WILL THE STORY CONTINUE?